I admit it… I have a brain-crush on Liz Wiseman! Researcher, speaker, executive advisor and author of The New York Times bestseller Multipliers: How the Best Leaders Make Everyone Smarter, The Multiplier Effect: Tapping the Genius Inside Our Schools, and The Wall Street Journal bestseller Rookie Smarts: Why Learning Beats Knowing in the New Game of Work, Liz knows her stuff about leading, learning and innovation! What is even more crush-evoking is that Liz communicates her ‘stuff’ in a way that challenges group-think, questions assumptions and serves-up a generous helping of contextually-based research to support her ideas. Within her latest book Rookie Smarts: Why Learning Beats Knowing in the New Game of Work, Liz speaks of the phrase ‘Failing-fast’ (and other such phrases) that are bandied-about in business and education. Liz states we are inviting the wrong level of expertise around the table when it comes to innovation. When you ask experienced people to innovate in their area of expertise, they are more likely to play it safe. When you invite people to work in their rookie zone (where they have far more questions than answers) you’ll accelerate the all important build-measure-learn cycle. When seeking innovation therefore, we need to ensure that people are operating on the outer fringe of their capabilities. In this way they will naturally make mistakes, obtain feedback and seek answers without the pressure of ‘expertise’. Furthermore, as a leader, it can be easy to keep yourself in a safe space. One where we don't challenge ourselves to be more innovative with our thoughts or creativity. Certainly we encourage it in the people and students we lead; they’re in the rookie zone, they have unspoken permission to fail and see how to make their mistakes into success. But do we challenge and encourage ourselves to be as innovative as the leaders we are growing in our classrooms, schools and businesses? Maybe you chose to be in this safe zone, or you just fell into it. Is it time to step back into your own rookie zone? To shift your thinking back to being a learner of building something, measuring it and learning? As we make mistakes, and deal with them using our Emotional Intelligence, we give others permission to do the same. Imagine what a classroom would look like with both teacher and students were both challenging the danger zones together, or a business where people were learning together. 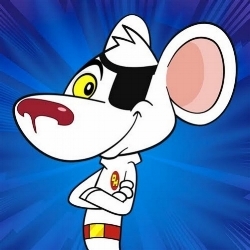 Maybe you need to be a little like Danger Mouse, and step into your danger zone … then come out safely. Your danger zone is that zone that challenges you and makes you grow in both creativity and thought. How do we get into that danger zone - that zone of innovation? Be a constant learner, a questioner, someone who sees opportunities to activate failure and then re-calibrates to make those failures into a success. In this danger zone you will be truly operating in a space of authentic innovation and leadership. What zone are you operating in? How are you encouraging others to embrace their ‘danger zone’? How are you creating opportunities for people to innovate in the ‘danger zone’? Newer PostHave you become the device that is always on? Older PostCreating a “Culture of Care” in your workplace.